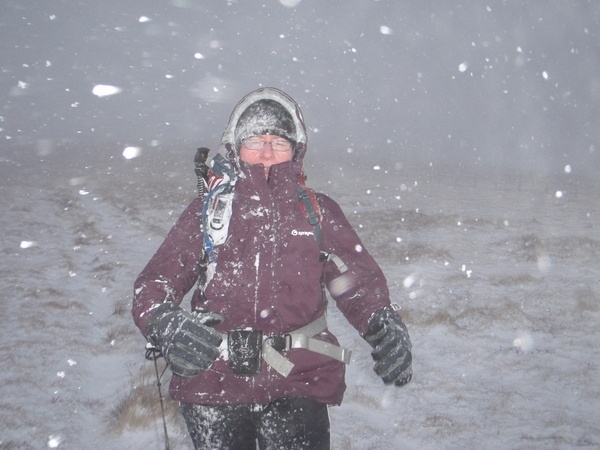 Weather forecast was daunting with gale force winds and blizzards conditions but that didn't stop Mark and Irene from venturing into the Culter Hills. 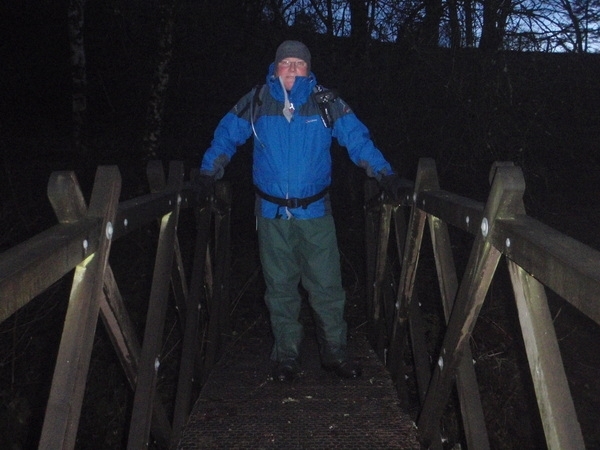 The plan was a circuit taking in Hardrig, Whitelaw Brae, Windgate Bank, Hudderstone, Cowgill Rig then past the Cowgill Reservoirs and loch. 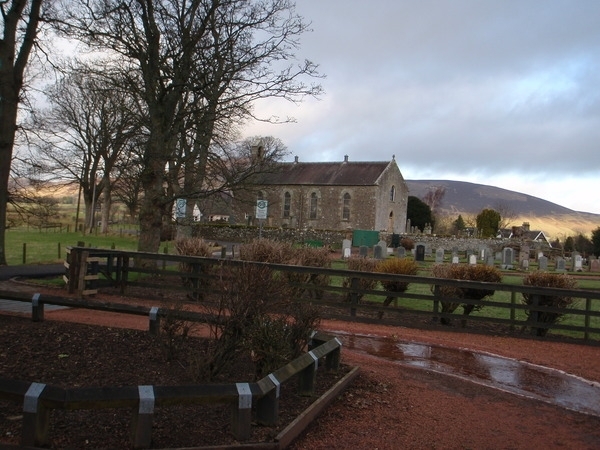 Parked car at church in Lamington near Biggar (NS978309). Although it is was dry, it was bitterly cold. We crossed the busy road and headed past some cottages into the forest. There were many choices of paths to take and on one occasion we were faced with a rather grumpy local who ensured we didn't go down the wrong path towards his house. We soon realised we were doing the route in reverse. 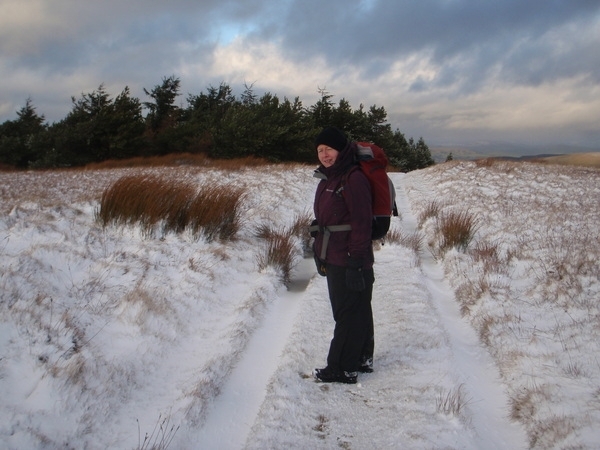 We came out of the forest and along a track through a lovely valley past Cowgill Loch. Saw 2 roe deers across the loch who took off as soon as they saw us. 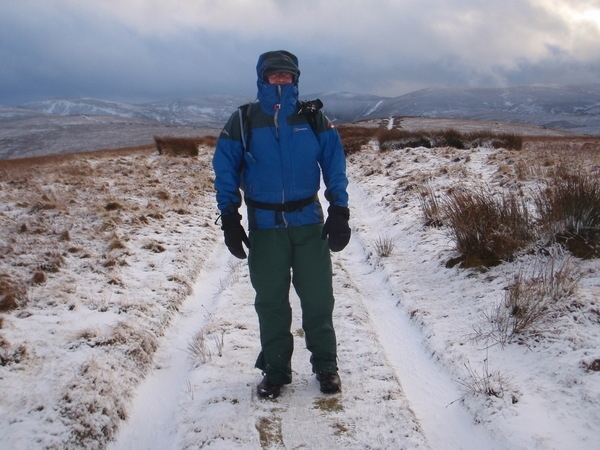 We then turned south (NT008297) along a treacherous icy path past Cowgill Lower Reserviour. 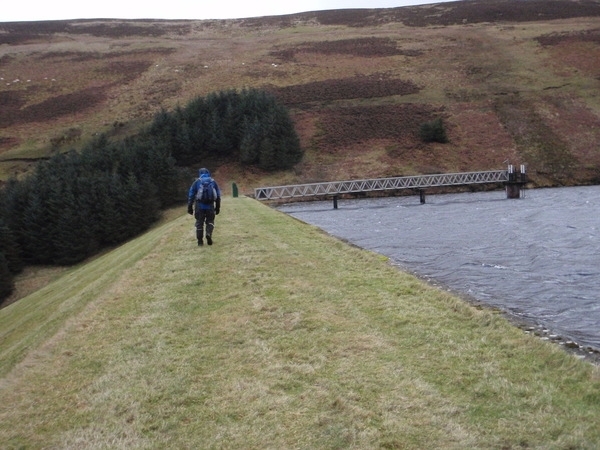 We then climbed a grassy slope beside the overflow to Upper Cowgill Reserviour to the dam wall. At this point we were faced with a strong cold wind which was surprising as we had been sheltered from it up till now. 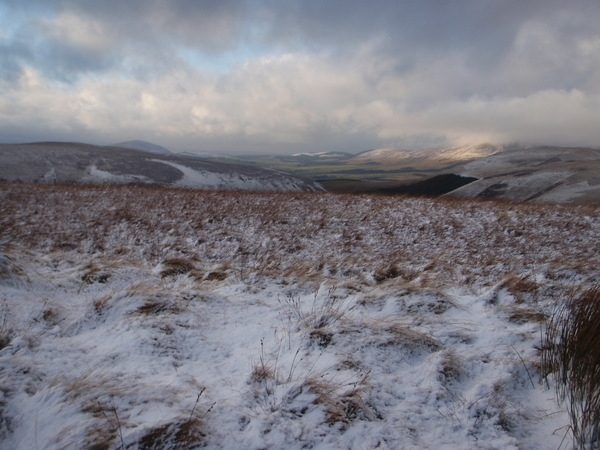 As we were climbing up the east side of the dam, the snow came on and the wind continued to get stronger. 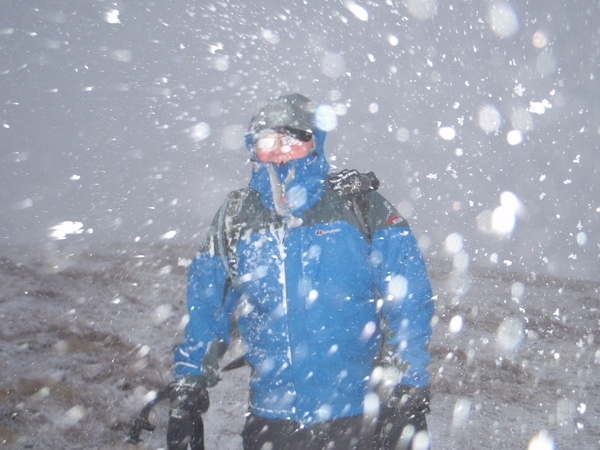 By the time we reached the top of the hill and found the path, it was like a blizzard. We had to navigate using out GPS to find our way to Hudderstone. As we has an emergency shelter with us we decided to stop on Hudderstone (NT021271) and have lunch in order to heat up. 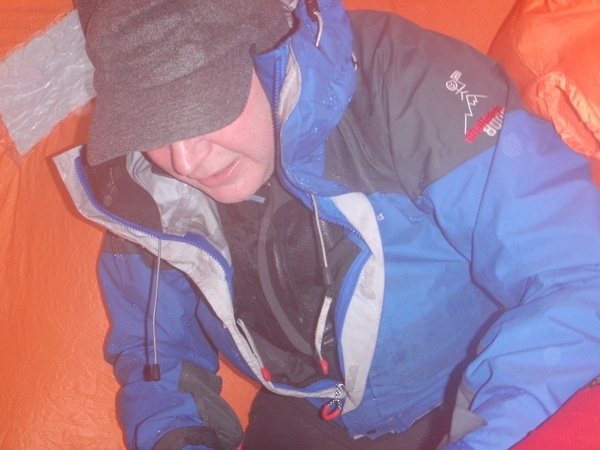 It was quite difficult as you can imagine trying to hold on to the shelter so it wouldn't blow away and whilst getting into our waterproof trousers at the same time! Outside it was blowing a hoolie while we stayed in the shelter for half an hour having lunch and trying to heat our hands up as it felt as though frostbite had set in! 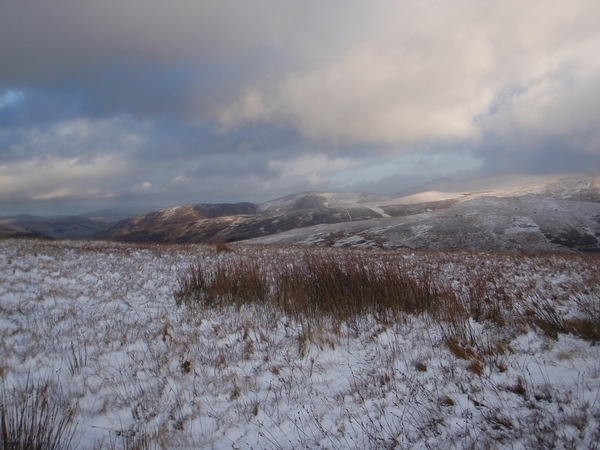 As weather conditions were deteriorating quickly we decided to play it safe and back track. Once the snow stopped the visibility improved. 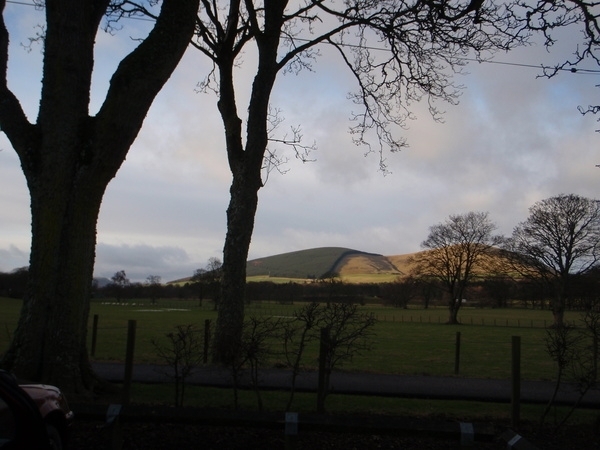 It was odd to see the sky black yet the odd bolt of sunlight shining on a distant hillside. The wind was so strong that Irene lost her map as it was whipped from her hand so we make extra sure not to lose Mark's too. 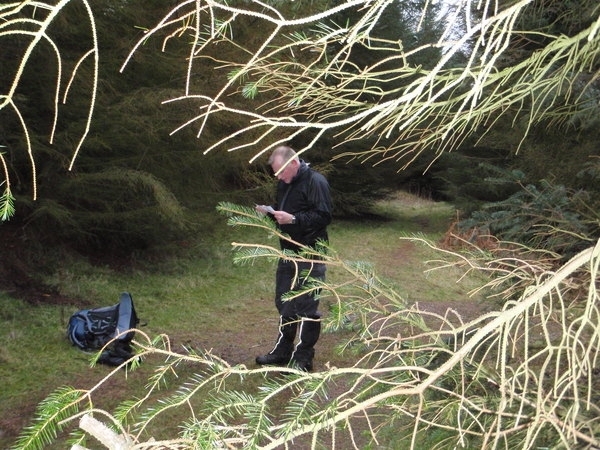 By the time we got back to the car, no-one would have realised the conditions we had to endure today. As usual we had a great day and were glad to have been out walking. We must go back soon to complete the route we had intended.